1510 N. Circle I Rd. 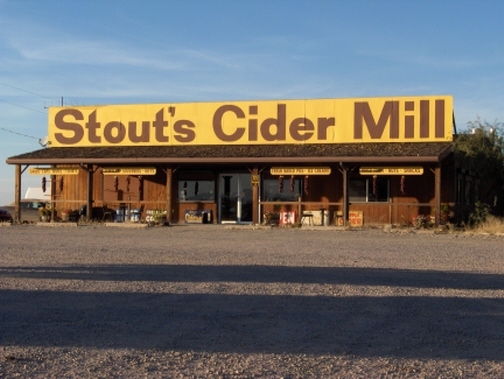 Stout's Cider Mill has gained a reputation throughout the Southwest for its apple products from the Stout family orchard in Willcox, Arizona. Ron and Corrine Stout opened Stout's Cider Mill in 1989 just off Interstate 10, and the store is open every day except Thanksgiving and Christmas. The State of Arizona recently rerouted the approaches to the interchange at Exit 340, but if you exit I-10 and take Rex Allen Drive to the north, signs will direct you to Circle I Road where the store is located. Apple cider is the main product at Stout's, and is excellent. I have tried "real" apple cider in Massachusetts and New Hampshire, and I think Stout's is comparable to the New England version. I not only rate it as excellent, but I don't know of any other source for real cider in the Southwest. One of the items I always try to buy is an apple pie or other pastry. One that I like a lot is the Dutch apple pie with a breaded crust on top. Pumpkin pies are also sold, but I do not remember if I have tried them. 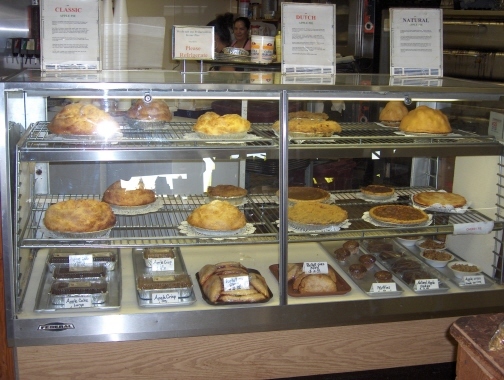 All pies are made without preservatives, though, so they should be refrigerated or eaten pretty quickly. I have found the apple cake to last quite a few days, though, and this is usually my favorite dessert from Stout's (although sometimes there is just no substitute for a pie). 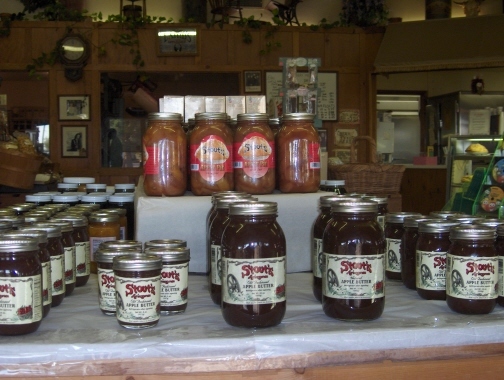 Stout's apple butter is probably the best I have ever tried. At least, I would say it is the best you can get in a store. The sugar free version to me is perfect for breakfast toast. I have tried samples of the regular apple butter but I have never bought it because I think the sweetening from the apples themselves is sufficient. I have been told the apple butter lasts about a year in the refrigerator, once the jar is opened. I think it actually lasts longer, although I can rarely keep a jar that long without consuming it. The Stout family makes regular trips to cities in the Southwest to sell pies, cider, and other products. I see them regularly (about 3-4 times per year) at Sun Harvest in El Paso, and I enjoy talking to them as much as I enjoy the products. It is obvious to me that they put great dedication into everything that is sold. Other members of the family are also involved, such as a granddaughter who makes very good fudge that is sold at the store. Unfortunately, I have not seen the fudge at the mobile stand. I know the products are also sold in Tucson, but if you live elsewhere in the Southwest you might want to call the store to see of the mobile sales truck will be in your area. Better yet, though, plan to stop by the store if you are traveling Interstate 10 in southern Arizona.